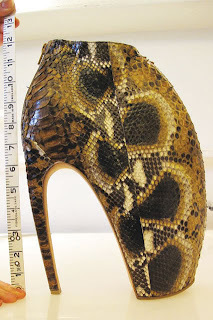 But I'm not so sure about these armadillo shoes by Alexander McQueen. They're definitely a work of art but they seem impossible to walk around in. They also kinda remind me of the way shoes were illustrated in the 1920's (i think).